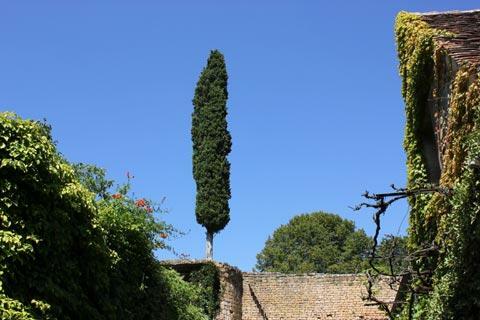 Montferrand is on the route that passes between Belves and Beaumont in the southern Dordogne, in part along the scenic Couze valley, where wooded hills and pastoral valleys conceal small villages, unchanged over the centuries. 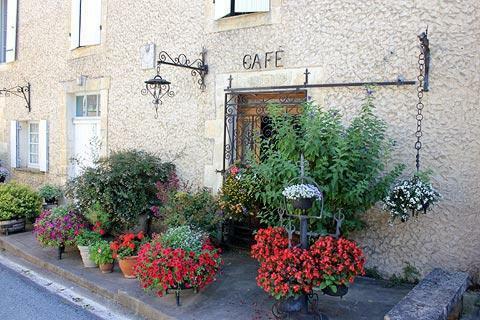 France This Way comment: Montferrand-du-Perigord is the most important of the villages of the Couze Valley, and while small and quick to explore it is a charming village in which almost every house has a great deal of character and period features to enjoy. 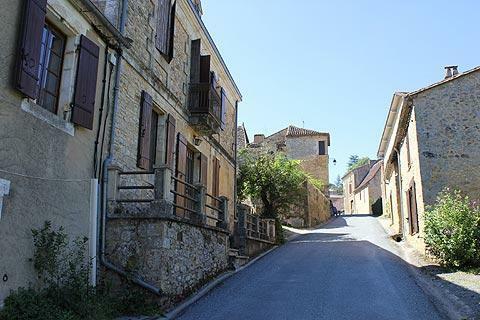 You are unlikely to get lost as you explore Montferrand: there is one street that pases through the village and apart from minor detours you will see all the places of interest from this road! In the centre of the village you can see the 16th century market hall, with a traditional carpentry roof supported by stone columns. Next to the hall is a 19th century church, which in turn is in front of a renaissance style manor house. 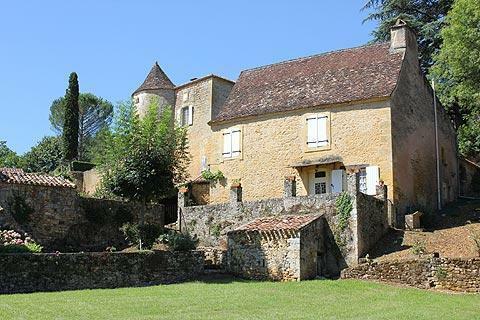 At the highest point in the village you can see parts of a 12th century chateau. 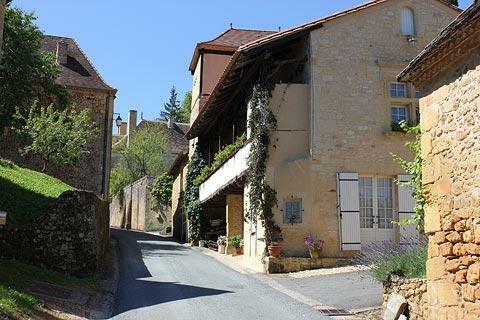 Apart from these monuments simply wander along the street that runs steeply down towards the Couze river, admiring the houses and their numerous architectural highlights. 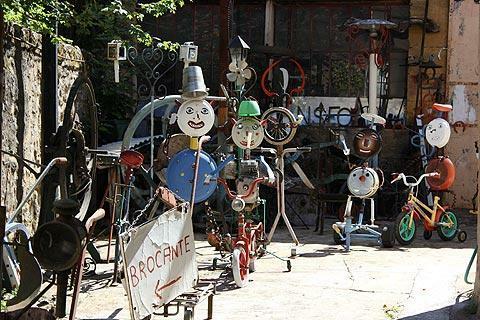 Towards the bottom of the hill you will see a forge with several imposing artistic creations in the courtyard in front of the forge. 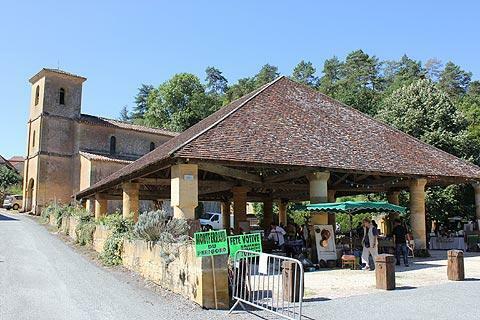 Be sure to also venture a few hundred metres south of Montferrand-du-Perigord to see the small 12th century church standing on the hilltop outside the village. 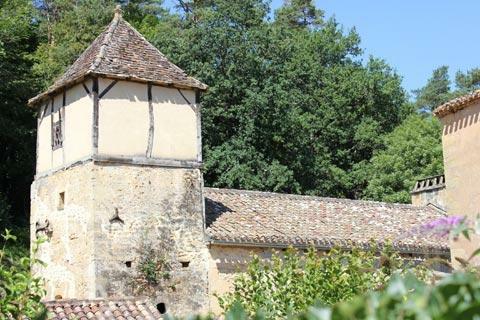 The Church of Saint-Christophe dates contains numerous frescoes from the 13th and 14th centuries. 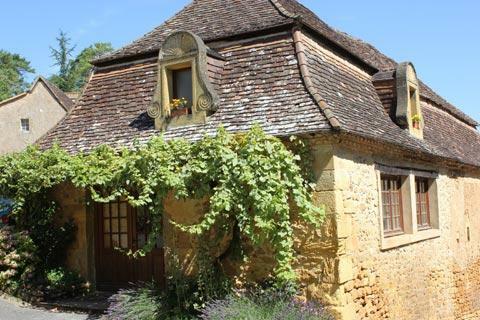 There are many local highlights to enjoy in this largely unexplored region including picturesque villages such as Molieres and Monpazier and important monuments such as the abbeys at Cadouin and Saint-Avit-Senieur. The quiet roads and scenery also make this ideal walking and cycling territory, with numerous possibilities to enjoy the surrounding countryside.